Administrative Law Judge (ALJ) Peter Paul Castillo, Office of Administrative Hearings (OAH), Special Education Division, State of California, heard this matter on March 26 and 27, 2007, at the offices of the Orange Unified School District. 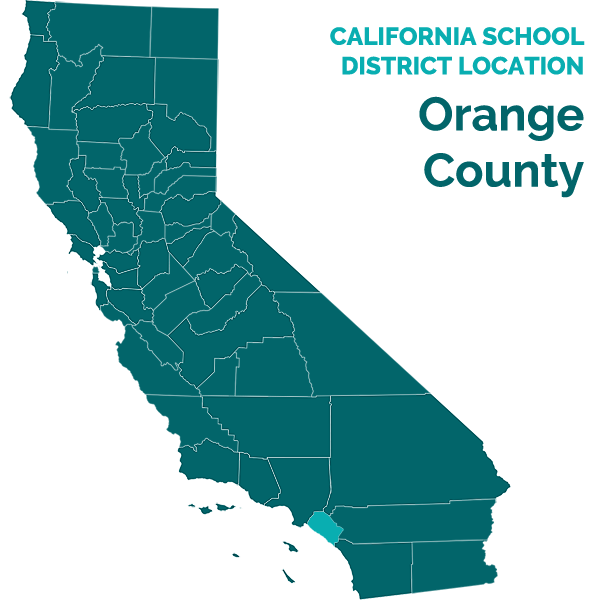 Attorney Patrick J. Balucan appeared on behalf of petitioner Orange Unified School District (District). Janet Rohlander, the District’s Assistant Director of Pupil Services, attended the hearing the afternoon of March 26, 2007, and the entire day of March 27, 2007. Parents represented Respondent (Student). Student did not attend the hearing. The District filed a request for a due process hearing on November 14, 2006. The matter was continued on December 7, 2006. At the close of the hearing on March 27, 2007, the parties requested the opportunity to file written closing argument. That request was granted. OAH received the District’s written closing argument on April 16, 2007, and did not receive a written closing argument from Student. The matter was deemed submitted on April 16, 2007. Did the District’s offer of placement and services contained in Student’s Individualized Education Program (IEP) dated May 31, 2006, and June 29, 2006, constitute a free and appropriate public education (FAPE) for Student, in the least restrictive environment, for the 2006-2007 school year? The District asserts that its IEP offer of placement and services is reasonably calculated to provide Student with some educational benefit in the least restrictive environment. The District contends that it properly determined and considered Student’s educational needs and developed an appropriate IEP to meet his needs in the deficits areas of reading, math and written comprehension. Student contends that the District failed to properly assess Student, which led to the District not having accurate information regarding Student’s unique needs. Student also asserts that the District failed to consider Student’s dyslexia and Attention Deficit Hyperactivity Disorder (ADHD) during the assessment process. Student contends that the District’s offer to place Student in a special day class for two periods per day to work on Student’s reading and one period per day in a resource program math class did not constitute the least restrictive environment. Student asserts that the District could meet his needs in these areas in a regular education classroom, especially with the use of assistive technology. 1. Student was born on October 28, 1991. At the time of the hearing, Student resided within the District boundaries with his Parents, was in the ninth grade and attended Lutheran High School, a private school. Student attended seventh and eighth grades at Prentice, a non-public school for learning disabled students. The District found Student eligible to receive special education services in 2002 under the category of specific learning disability due to a significant discrepancy between Student’s cognitive ability and achievement in the areas of reading comprehension and basic reading skills. There is no dispute that Student is still eligible for special education services. 2. At the May 31, 2006 IEP meeting, the District offered, for the 2006-2007 school year to provide Student two blocks (periods) per day of a special day class for core academic classes to focus on Student’s reading and writing needs. The District also offered one block per day of math in a resource specialist program classroom. The remainder of the three daily blocks would be for other regular education classes and physical education. The IEP called for Student to attend Canyon High School, a District regular education school and Student’s home school. The IEP’s goals and objectives focused on improving Student’s reading skills, reading comprehension, passage writing, math, classroom skills to improve his attention and assignment completion, and social skills regarding inter-personal interaction. 3. On June 26, 2006, the District modified its offer to include three weekly, 50-minute sessions for specialized reading instruction. The District also added a goal to improve Student’s decoding skills by increasing the words Student could read and spell. Also, the District added a goal regarding sentence and paragraph composition to improve his reading comprehension. The District agreed to conduct an assistive technology evaluation for reading support when school commenced. Parents did not consent to the District’s offer and enrolled Student at the start of the 2006-2007 school year at Lutheran High School. 4. The IDEA provides that an IEP must contain a statement of the current levels of educational performance, measurable annual goals, and a means to measure progress towards the goals. Additionally, the IEP team must take into account the results of the student’s most recent assessments in formulating the IEP to determine the student’s present levels of performance and the student’s unique needs, and to set appropriate goals. 5. In May 2005, Dave Bastin, District school psychologist, conducted an evaluation of Student’s educational progress as part of the District’s triennial IEP process regarding Student’s continued eligibility for special education services. Mr. Bastin conducted the Wechsler Intelligence Scale for Children-Fourth Edition (WISC-IV) to determine Student’s cognitive abilities and areas of strength and weakness. Student’s scores on the WISC-IV indicated Student’s strengths regarding verbal comprehension, which includes his ability to process and remember information he hears, as Student scored in the average range. Student, however, displayed weakness regarding visual processing as his scores were slightly below average. Student’s weakness regarding visual processing relates to his deficits concerning reading as Student has difficulty processing what he reads and with nonverbal problem solving. 6. Mr. Bastin also administered the Bender Gastalt test to examine Student’s sensory motor functioning. The Bender Gastalt results indicated that Student’s abilities were average for an eight year old, which is below normal as Student was then 13 and a half years old. Student had difficulty with accurately reproducing geometric shapes, which indicates a problem in completing tasks and problems due to visual processing deficits. 7. As part of the triennial assessment, Denise McEuen, a District special education teacher and case carrier for middle school students, conducted the Woodcock-Johnson Test of Academic Achievement, Third Edition (WJ-III). The WJ-III looks at a student’s academic skills regarding reading and math. Across all the reading and math subtests, Student’s scores were below average. Regarding reading, Student’s broad reading score was in the second percentile as Student had difficulty decoding words that he read, understanding reading passages, limited vocabulary skills and problems with phonics. Student could not quickly read and understand passages he read. Student required additional time to process this written information. Student also had written expression deficits, as Student scored in the fourth percentile. Student’s written expression deficit relates to his inability to visually process what he is writing down. Student’s results from the WISC-IV indicated that Student could verbally respond to questions and understand information read to him. 8. Regarding math, Student’s broad math scores, which encompassed all the subtest results, were in the second percentile. Student had difficulty in all math areas of the WJ-III, which can be traced to Student’s difficulty in being able to process what he reads. 9. As part of the assessment, Mr. Bastin had Student’s teachers at Prentice complete a behavior rating scale. The results indicated that Student had difficulty in less structured environments, had a tendency to act impulsively, is easily distracted, and had difficulty remaining on task. Mr. Bastin wrote that low average scores on the WISC-IV correlated with Student’s difficulty in sizing up real life situations that involve planning and anticipating outcomes, which related to the behavior difficulties his teachers reported. 10. Mr. Bastin’s assessment also included information regarding Student’s classroom and social-emotional skills based upon comments from Student’s teachers at Prentice. Mr. Bastin noted that Student was cooperative during the assessment. The teachers noted that Student had a history of being inattentive, acting impulsively, difficulty in settling down, and difficulty remaining on task without reminders. Mr. Bastin and his teachers commented that Student is outgoing and friendly, but has problems reading social situations and is a bit immature. 11. As part of the triennial assessment, the District conducted a health and developmental assessment. This assessment report indicated that according to Mother, Student had been diagnosed with dyslexia. 12. Parents and District personnel met on June 9, 2005, for Student’s triennial IEP. The team members agreed that Student remained eligible for special education services based on the District’s triennial assessment results. Student continued to attend Prentice pursuant to an agreement between Parents and the District. 13. Parents and the District next met on May 31, 2006, for an IEP meeting as Parents expressed a desire for Student to attend a District high school. Ms. McEuen administered to Student the WJ-III on May 22, 2006, and obtained information regarding Student’s progress at Prentice from his teachers. Ms. McEuen presented her findings at the IEP meeting. On the WJ-III, McEuen found that Student’s reading scores had improved, but he still had significant deficits in passage comprehension and reading fluency. Student’s written expression showed marginal progress as his combined scores were still in the seventh percentile. Student made significant progress in all math areas, except for math fluency, which involves reading skills and processing speed. 14. Ms. McEuen obtained information from Student’s teachers at Prentice and from her own interaction from Student about Student’s classroom and social-emotional skills. Student and teachers agreed that Student completed his work on time and was organized. Teachers commented that Student still required assistance with remaining on task, can be easily frustrated, quick to anger, lacked self-control, and had problems picking up verbal cues from others. 15. Ms. McEuen summarized her findings regarding Student’s present levels of performance at the IEP meeting and in the IEP document. Ms. McEuen’s findings regarding Student’s present levels of performance for reading, math, written expression, and classroom and social-emotional skills accurately reflected Student’s abilities at the time of the May 31, 2006 IEP meeting. 16. At the May 31, 2006 IEP meeting, based on Parents’ concerns regarding Student’s reading ability, and previous failure to respond to District reading programs, the District agreed to conduct a further assessment by a District reading specialist. Carla Roehl, District speech and language and reading support specialist, conducted the reading assessment on June 26, 2006. Ms. Roehl administered the Woodcock-Johnson, Diagnostic Reading Battery, Third Edition (WJ-III DRB), Gray Oral Reading Test, Fourth Edition (GORT), and Lindamood-Bell Auditory Conceptualization Test. Ms. Roehl is qualified to administer these testing instruments based on her education, training and her experience in performing these tests. Ms. Roehl appropriately chose these testing instruments to give the IEP team members a comprehensive picture of Student’s reading difficulties. 17. Ms. Roehl presented her assessment findings at the June 29, 2006 IEP meeting. Based on the WJ-III DRB, Student’s reading abilities were about the third grade level. Ms. Roehl found that Student had great difficulty in decoding simple words, which forms the building block to being able to understand progressively more complex words. Ms. Roehl stated that Student had trouble breaking down words to be able to understand what he was reading, which led to slower reading fluency and problems in comprehension. Ms. Roehl also determined that Student’s reading and oral vocabulary were low, which limited Student’s ability to understand what he reads. Finally, Ms. Roehl found that Student had difficulty in holding more than four sounds in his head at a time, which impacted Student’s reading fluency in being able to sound out words he does not understand. 18. At the June 29, 2006 IEP meeting, Ms. Roehl recommended that Student attend the District’s summer reading program to improve his reading skills. Student attended Ms. Roehl’s summer reading program for 15 sessions. Pursuant to Mother’s request, Ms. Roehl administered the Brigance Diagnostic Comprehensive Inventory of Basic Skills (Brigance) to obtain a baseline regarding Student’s reading abilities and was to re-administer the Brigance after the summer reading intervention program to see if Student made progress. Ms. Roehl could not re-administer the Brigance because Student did not enroll at Canyon High School for the ninth grade. Ms. Roehl did state that Student made significant progress during the program regarding his decoding skills and reading fluency in progressing to reading work at the fourth grade level from the third grade starting point at the beginning of the summer reading program. 19. The parties met again on October 19, 2006, to discuss Student’s IEP. During the IEP meeting, Parents requested an Independent Educational Evaluation (IEE), which the District subsequently agreed to provide. The parties agreed that Robert Patterson, Ph.D. would conduct the IEE. Dr. Patterson began his assessment in early February 2007. At the time of the hearing, Dr. Patterson had completed the IEE, and was finalizing his written report. Dr. Patterson verbally summarized the IEE findings at hearing. For the IEE, Dr. Patterson reviewed Student’s entire education record, which included the District’s assessments mentioned above, and Student’s IEPs. Dr. Patterson also conducted a wide range of tests to evaluate Student’s educational deficits, the sources of those deficits and to develop strategies to help Student overcome these education deficits. Dr. Patterson has the necessary education, training and experience to conduct the IEE. 20. Dr. Patterson concurred with the findings of the District’s assessments regarding Student’s math and reading deficits, and Student’s needs in these areas. Dr. Patterson stated that while Student had attention issues, Student did not have ADHD. Dr. Patterson stated that Student has visual dyslexia, which affects Student’s reading, and dysgraphia, which negatively impacts Student’s writing. However, Dr. Patterson stated that his diagnosis of dyslexia and dysgraphia did not invalidate the District’s assessments as the District properly determined Student’s educational deficits and the appropriate special education services Student required. Dr. Patterson stated that a diagnosis of dyslexia or dysgraphia does not by itself determine a student’s special education needs and services Student required. Therefore, the District had accurate information regarding Student’s educational needs based on its assessments when the District developed its May 31, 2006, and June 29, 2006 IEPs. 21. A district must provide a student with an educational program that is reasonably calculated to provide the student with some educational benefit in the least restrictive environment. A district is not required to provide a special education student with the best education available or to provide instruction or services that maximize a student’s abilities. A school district need only provide a basic floor of opportunity that consists of access to specialized instructional and related services, which are individually designed to provide an educational benefit to the student. 22. The District appropriately determined Student’s present levels of performance and needs through its assessments regarding reading, written expression and math. Based on Student’s deficits and needs, Ms. McEuen developed goals to meet Student’s needs in the areas of reading, writing, math, classroom skills and social-emotional skills, which the District expanded after Ms. Roehl’s later reading assessment. The District’s proposed reading goals met Student’s unique needs by focusing on his decoding, fluency and passage comprehension deficits. The proposed writing goal appropriately focused on Student properly constructing a paragraph, which Student must do to pass the high school exit exam. Finally, the District properly tailored the proposed math goals to improve Student’s ability to perform word math problems and math calculations that met his unique needs. 23. Dr. Patterson reviewed the District’s proposed goals as part of his IEE. Dr. Patterson concurred that the District’s offer met Student’s unique educational needs.1 Therefore, the District’s May 31, 2006, reand June 29, 2006 offer was reasonably calculated to provide Student with some educational benefit. 24. School districts are required to ensure that a variety of potential educational placements are available to special education students, including placements in general education classes, special day classes, and resource classes at district schools, and placement at certified non-public schools if appropriate. There is no requirement that every possible program option available in a school district be addressed at an IEP meeting. 25. As noted in Legal Conclusion 5, an analysis of the least restrict environment must consider four factors: (1) the educational benefits to the child of placement full-time in a regular class; (2) the non-academic benefits to the child of such placement; (3) the effect the disabled child will have on the teacher and children in the regular class; and (4) the costs of educating the child in a regular classroom with appropriate services, as compared to the cost of educating the child in the district’s proposed setting. 26. During middle school, Student attended Prentice, a non-public school for learning disabled students. Therefore, Student’s entire education at Prentice consisted of 100 percent time in a special education environment. The District’s offer was for Student to spend 50 percent of his school day in the general education environment. Both the special day and resource specialist classrooms offered smaller class sizes than Canyon’s general education classes. In developing its offer, the District considered Student’s needs based on the assessments and decided that Student required intensive help that could be best provided in a special education classroom. The District properly determined that Student’s needs regarding reading, written expression and math could be best met with the more intense and individualized assistance Student could receive in a special education classroom. 27. Parents stated that Student should attend all regular education classes. Parents felt that the District could meet Student’s needs by providing assistive technology and pushing-in needed services into these regular education classes. Student expressed to Mother and Dr. Patterson his reluctance to attend a special education classroom because he felt that other students would label him a “dummy”. Parents also noted that Student presently attends high school in a 100 percent general education setting. However, Student did not present any of Student’s teachers from Lutheran High School to testify regarding Student’s ability to make adequate educational progress in a 100 percent general education setting. Dr. Patterson noted that while Student has made some improvement at Lutheran High School, he also had some areas of regression. Dr. Patterson concurred with the District’s IEP offer as being appropriate to meet Student’s educational needs in his areas of deficit because of Student’s need for the more intensive remediation he could receive in a 100 percent general education setting. 1 Dr. Patterson stated that Student requires an assistive technology evaluation and services to meet his needs. The District was not able to conduct an assistive technology evaluation to determine his needs because the District could not observe Student at Prentice and because Parents did not enroll Student at Canyon High School. 2 All statutory citations to the Education Code are to California law, unless otherwise noted. 3 In October 2006, amendments to the Code of Federal Regulations (C.F.R.) to correlate to the reauthorized IDEA became effective. Unless otherwise specified, the citations herein are to the version of the C.F.R. that was in effect when the IEP that is the subject of this Decision was drafted. 28. Applying the four-part least restrictive environment analysis, Student could not make adequate educational progress in a full-time, regular education setting. Student required the intensive services the District offered in the special education classroom with a specially trained teacher and smaller class size. Regarding the second part of the analysis, the District could work with Student in the special education setting on social skills that Student needed to better interact with his typically developing peers. Also, the District’s offer allowed Student to transition from a 100 percent special education environment at Prentice to the larger, general education high school setting. As to the third part of the analysis, based on comments from the Prentice teachers, Student’s learning difficulties may cause him to be disruptive if he gets frustrated in class because he does not understand what is being taught. Regarding the final element in the analysis, neither party introduced evidence regarding the cost to the District to educate Student in the regular education or special education setting. A weighing of the four factors favors the District’s offer because of Student’s need for intensive instruction in a special education setting to meet his unique needs, and because the District’s offer permits Student to spend half his school day in regular education. 29. The District properly considered the “continuum of program options” in developing its IEP offer by reviewing the various placement options that existed for Student to meet his needs. Additionally, the District’s offer is in the least restrictive environment because Student still required intensive remediation for his reading, writing and math deficits in a smaller class setting. Student was not ready to transition from a 100 percent special education setting in middle school to a 100 percent general education setting for high school at the start of the 2006-2007 school year. The District’s offer of 50 percent special education and 50 percent general education best met the needs of Student in the least restrictive environment. 30. A school district must comply both procedurally and substantively with the IDEA. While not every procedural flaw constitutes a denial of FAPE, procedural flaws that inhibit a student’s right to receive a FAPE, significantly prevent a parent’s opportunity to participate in the IEP process, or cause a deprivation of educational benefit to a student, will constitute a substantive denial of FAPE. The failure to include a student’s private school teacher in the IEP process, where the student is presently attending a private school, constitutes a procedural violation of the IDEA, which results in a denial of FAPE to the student, unless the failure to do so is the result of harmless error. 31. No teacher from Prentice attended the May 31, 2006, or June 29, 2006 IEP meetings. The District could not get a teacher from Prentice to attend an IEP meeting because Prentice does not allow its teachers to attend IEP meetings, in addition to not allowing District personnel on the Prentice campus to observe Prentice classrooms and students. Prentice allows the District to obtain information regarding students through written questions and review of Student’s records at Prentice. 32. For the May 31, 2006 IEP meeting, Ms. McEuen obtained information from Student’s teachers regarding his academic, pre-vocational and social-emotional needs based on the teachers’ responses to written questions. Ms. McEuen incorporated the Prentice teachers’ comments regarding Student’s abilities in developing Student’s goals and objectives. The District also had, from the Prentice teachers, Student’s progress on his goals and objectives regarding his reading skills, decoding, reading aloud, reading comprehension, vocabulary and math. Student met his math goals, and was making progress regarding the other goals. 33. The District made sure that the IEP team had current information about Student’s educational progress by obtaining this information from Student’s teachers through written questions. The written responses that the District obtained corroborated information the District obtained in its assessments regarding Student’s deficits and progress. Thus, the District did not violate Parents’ procedural rights to have a Prentice teacher attend the IEP meetings because Prentice would not make its teachers available, and because the District obtained the needed information from Student’s teachers at Prentice to allow Parents to meaningfully participate in the IEP process. 1. The District, as the petitioning party seeking relief, has the burden of proof. 2. Under both the federal Individuals with Disabilities Education Act (IDEA) and state law, students with disabilities have the right to a free appropriate public education. (20 U.S.C. § 1400; Ed. Code, § 56000.2) The term “free appropriate public education” means special education and related services that are available to the student at no charge to the parent or guardian, that meet the state educational standards, and that conform to the student’s individualized education program. (20 U.S.C. § 1401(9).) A child with a disability has the right to a FAPE under the IDEA and California law. (20 U.S.C. § 1412(a)(1)(A); Ed. Code, § 56000.) The Individuals with Disabilities Education Improvement Act of 2004 (IDEIA), effective July 1, 2005, amended and reauthorized the IDEA. The California Education Code was amended, effective October 7, 2005, in response to the IDEIA. 6. Local educational agencies must ensure that a continuum of program options is available to meet the needs of individuals with exceptional needs for special education and related services. (Ed. Code, § 56360.) There is no requirement that every possible program available in a school district be addressed at an IEP meeting. Did the District’s offer of placement and services contained in Student’s IEP dated May 31, 2006, and June 29, 2006, constitute FAPE for Student, in the least restrictive environment, for the 2006-2007 school year? 1. The District’s May 31, 2006, and June 29, 2006 offer provides Student with FAPE in the least restrict environment because the District’s offer is reasonable calculated to provide Student with some educational progress based on accurate present levels of performance from the District’s assessments. 2. Pursuant to Factual Findings 5-20, the District obtained accurate information regarding Student’s strengths and weaknesses in the areas of reading, writing, math and social-emotional skills. The District accurately reflected this information in Student’s present levels of performance in the IEPs. Dr. Patterson’s extensive IEE corroborates the information that the District developed in its assessments regarding Student’s needs in the areas of reading, writing, math and social-emotional skills. 1. Pursuant to Factual Findings 22 and 23, the District developed appropriate goals to meet Student’s unique needs, as reflected in the present levels of performance. Pursuant to Factual Findings 26-29, the District properly considered a continuum of placement options in the IEP process and offered an appropriate mix of 50 percent time in a special education setting and 50 percent in a general education setting, which met Student’s unique needs in the least restrictive environment. Therefore, the District’s offer in the IEPs dated May 31, 2006 and June 29, 2006, was reasonably calculated to provide Student with some educational progress in the least restrictive setting. 1. Pursuant to Factual Findings 31-33, while the District did not have a teacher from Prentice attend either the May 31, 2006, or the June 29, 2006 IEP meetings, the District did not violate the procedural rights of Parents. The District could not get a Prentice teacher to attend an IEP meeting because Prentice does not make its teachers available. The District obtained the needed information that a Prentice teacher would present at an IEP meeting by having the Prentice teachers answer written questions regarding Student’s educational progress and needs. Therefore, Parents meaningfully participated in the educational process because the District obtained the needed information regarding Student from his Prentice teachers to develop Student’s IEP, and shared that information with Parents. The District’s request that the IEPs dated May 31, 2006, and June 29, 2006, be determined an offer of FAPE to Student is granted. Education Code section 56507, subdivision (d), requires that the hearing decision indicate the extent to which each party has prevailed on each issue heard and decided. The District prevailed on the only issue presented for decision.